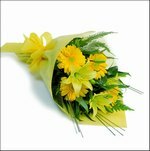 MelbourneFlowerDelivery.com is committed to protect your privacy. We use the information we collect about you only to process your orders, answer information requests and keep in contact with you. MelbourneFlowerDelivery.com does not disclose, distribute or sell the data we collect from our customers to third parties. Only if it was necessary by law or to protect the rights and property of MelbourneFlowerDelivery.com, would we release your email address and contact details to a third party.